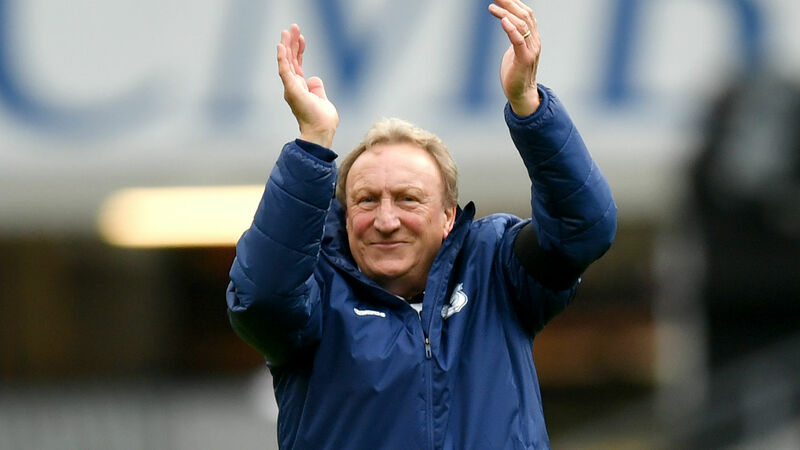 Neil Warnock confessed he was worried it was going to be "one of those days again" for Cardiff City before they claimed a "massive" win against Brighton and Hove Albion. Cardiff trailed early to Lewis Dunk's goal but got themselves back in the game through a Callum Paterson header before visiting midfielder Dale Stephens was sent off before half-time. Yet the Bluebirds struggled to break down Brighton and looked set to come up short until Sol Bamba's late winner, leaving Warnock a relieved man. "It was just one of those days again. The fans kept us going and it didn't look as though we could break them down," Warnock told Sky Sports. "[Brighton] showed why they are where they are. They're resolute and the back-line is very, very solid. "It was great - especially given how disappointed we were to go down. We knew the free-kicks were going to be difficult, with the two centre-halves, and then Sol sleeps for that one. "Fortunately, the lads made up for that and Sol came in at the end with the winner. It's a great result for us." Reflecting on his pre-match suggestion that this was not such a pivotal game, Warnock smiled: "It's massive. We didn't play it down in the dressing room. "We said that, in the games coming up to Christmas now, we've got to compete. We can compete. We lack that little bit of quality when we have possession - I think we had 60 per cent - but we kept plugging away and I just had a feeling it would turn."